Help for Heroes is an amazing charity and when we were told that Rob Earls had set up Mini for Heroes to raise money and awareness of the charity, we wanted to offer our support. In Bedfordshire, Rob was renovating a Classic Mini into a Help for Heroes fundraising machine. Once restored the Classic Mini would be attending shows and events to raise awareness and funds for the Help for Heroes charity. The Classic Mini would also be available to hire for events and functions, with all proceeds going to Help for Heroes. The rusted old Mini was rescued from a scrapyard in Manchester. It was originally a 1992 Mini Mayfair 1000, but almost all items on the car needed to be replaced with new for the car to be of 'exhibition standard'. 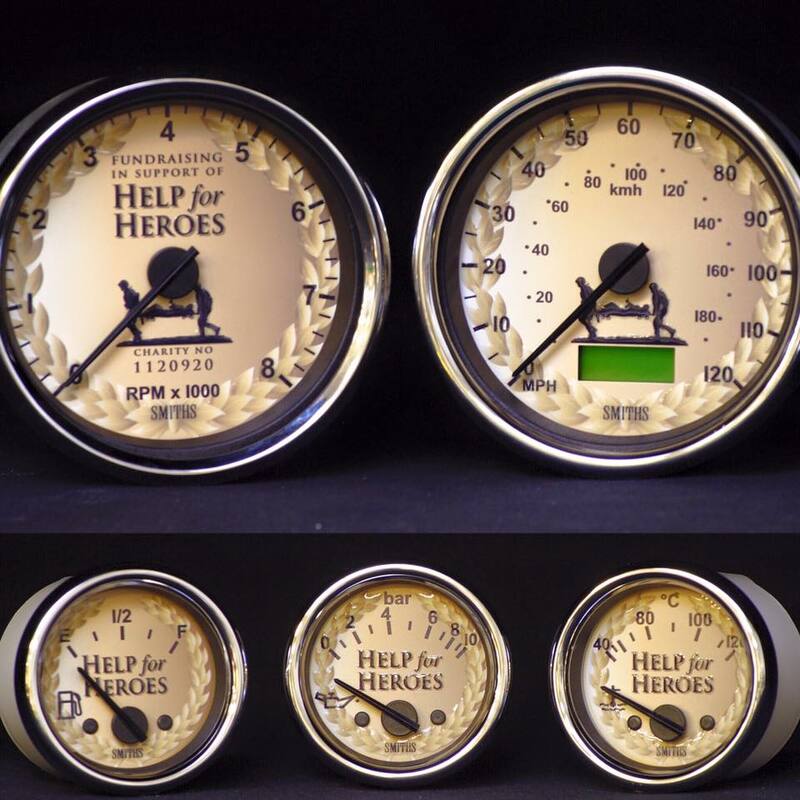 Each was individually designed to include the Help for Heroes name and, where appropriate, the logo with two soldiers carrying a stretcher across a battlefield. This is an amazing project and we were so pleased to help and are proud to be a sponsor. Good luck with raising funds for such a fantastic charity! Further information on gauges for classic Mini motorcars is available on the website.